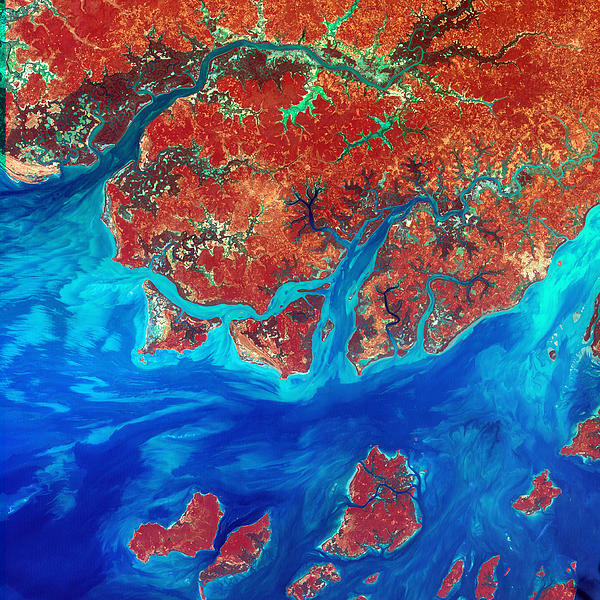 There are no comments for Guinea Bissau. Click here to post the first comment. 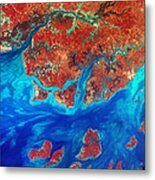 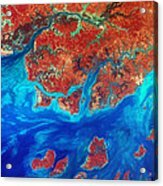 Guinea-Bissau Image taken 12/1/2000 Guinea-Bissau is a small country in West Africa. 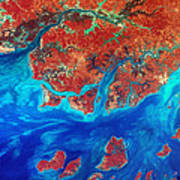 Complex patterns can be seen in the shallow waters along its coastline, where silt carried by the Geba and other rivers washes out into the Atlantic Ocean.